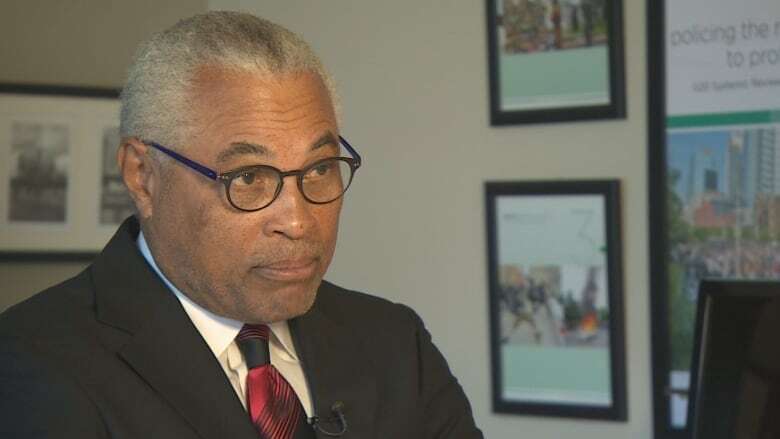 Several leaders from across the country say they aren't surprised by a report from Ontario's police watchdog finding systemic racism in the Thunder Bay Police Service. The report titled Broken Trust: Indigenous People and the Thunder Bay Police Service makes 44 recommendations based on the Office of the Independent Police Review Director's (OIPRD) findings from a two-year investigation. It reveals deficiencies in how the local force investigates the deaths and disappearances of Indigenous people. 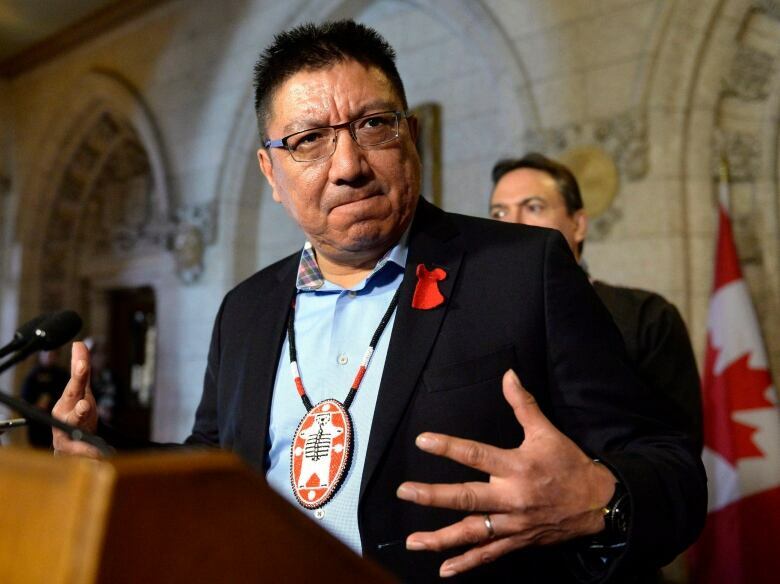 Alvin Fiddler, Grand Chief of the Nishnawbe Aski Nation, which represents 49 First Nations in northern Ontario, spoke about Stacy DeBungee, a 41-year-old man from Rainy River First Nations whose body was found in the McIntyre River in Thunder Bay in 2015. It was a complaint from DeBungee's family that prompted the OIPRD review. "Right away there were very troubling findings about how that particular case was handled," he said. "They've had three years to make changes." Fiddler said he expects to see the report's 44 recommendations fully implemented by Thunder Bay police, within McNeilly's suggested timeline. "If they don't comply after three years, they should be disbanded," he said. An initial statement by Thunder Bay Police Chief Sylvie Haulth in response to the report acknowledged "systemic barriers" that must be addressed but did not use the word racism. The report recommends the Thunder Bay police publicly and formally acknowledge that racism exists within all levels of the service. In a second statement issued later Wednesday, the police service said it was formally acknowledging that it "must address the systemic racism, barriers and biases that exist within its service." "I take this report very seriously," said Hauth in the second statement. "I have been very upfront in terms of my commitment and dedication about where we stand on the reconciliation process. Trust is very important and regaining that trust has been at the forefront of my new role." Rainy River First Nations Chief Robin McGinnis called the police's initial statement "disheartening." McGinnis said he's hopeful the police service will begin acting on the report's recommendations quickly, but that it may not bring the victims' families any comfort. "Because of all the inefficiencies ... you can't go back," he said. "Three years have gone by now, and I don't know how much of a difference it's going to make for the Debungee family." McGinnis said the news conference announcing the OIPRD findings was emotional for many in his community, himself included, because it was the first time they had heard admission of their long-held concerns. In a statement, Assembly of First Nations National Chief Perry Bellegarde called the report "as tragic as it is unsurprising," and condemned the Thunder Bay police's approach to policing of First Nations. "Current approaches to investigating the deaths and disappearances of First Nations fail all of us ... and exacerbate already strained relationships," the statement read. Bellegarde said in the statement that the report's findings emphasize the need for immediate action in addressing systemic racism in a "profound and substantial manner." Minister of Indigenous Service Jane Philpott called the report "incredibly important." "There is in fact systemic racism across a range of institutions in the country. It's a very serious matter," said Phillpott. 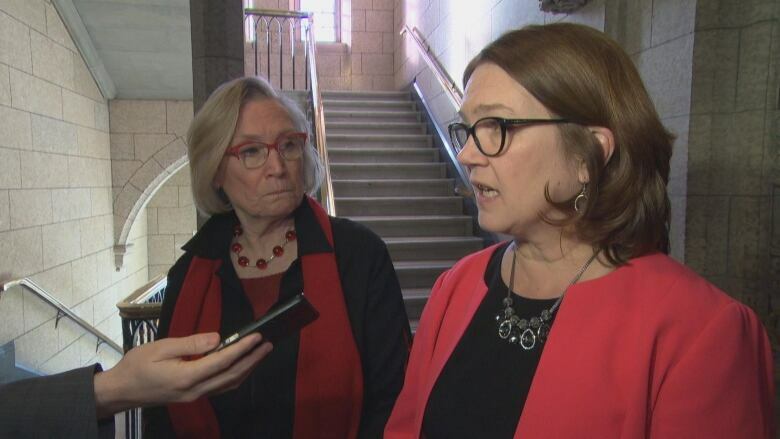 Crown-Indigenous Relations Minister Carolyn Bennett said she believes everyone in Canada is responsible for calling out racism. "We know that when there is a stereotype assumption that this death was inevitable, that we end up with a much lower quality of search, investigation and in the whole of the justice system, even in the charges laid or stayed," she said. Marion Buller, chief commissioner of the national inquiry into missing and murdered Indigenous women and girls said that while she wasn't completely surprised by the report's findings, she was "stunned" to see the results of interviews with Thunder Bay police officers in the report. Specifically, she said, a section in which an officer likens dealing with Indigenous youth out of school to shaking monkeys out of trees. "There exists this attitude across Canada of 'us and them' on the part of police forces, though there are some great exceptions to the rule," she said. Buller said she believes adhering to the suggested timelines on implementing recommendations will be an important step going forward. "If there's no time limit, especially [one] for reporting back to the public, then there's really not a lot of motivation to take action," she said. "Plans can just linger and nothing happens."